Over the years, many App Store commentators have questioned Apple’s commitment to mobile gaming – and for good reason. Despite numerous overhauls to their platform, a greater emphasis on storefront curation and big budget announcements, it’s been down to third-party efforts to ensure that hundreds of iconic games are not simply erased from the annals of the App Store forever. 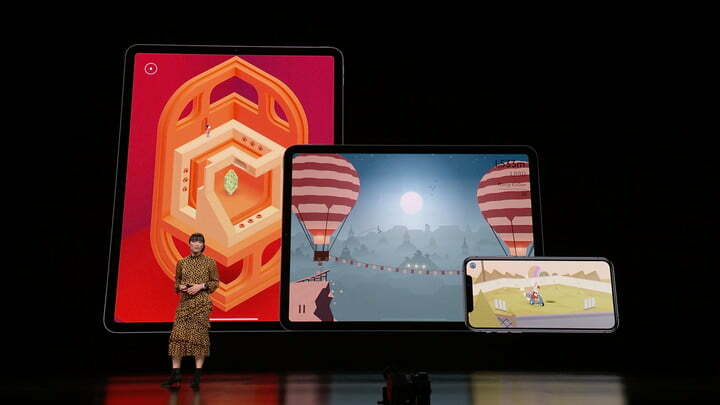 However, the recent announcement of the Apple Arcade suggests that the company has finally seen value in the incubation of quality mobile titles, and a Financial Times article suggests that this is backed by a rather substantial monetary commitment too. According to their sources, Apple is spending ‘several million dollars each’ on most of the 100+ titles that will debut on Apple Arcade, with a total budget potentially being greater than $500 million. While such ridiculously huge numbers are incredibly hard to comprehend in real-world terms, I can safely say that the budget for most mobile games is significantly less than Apple’s multi-million dollar investment into games for its Arcade. This makes sense, as if you want console-esque experiences on mobile, you really need to have console-esque budgets. The FT article also suggests that any developers who pledge mobile and subscription exclusivity will receive an ‘extra incentive’ (read: more money). While this means that releasing games for sale on the likes of the Nintendo Switch is fine, putting them for download on Xbox Game Pass or the Google Play Store is a no-no. This subscription exclusivity the most interesting part of these recent rumours, as Apple is firmly backing this monetisation model for premium titles as the future across the whole of the games industry. It may not seem like a particularly big deal now, but with the PS5 and Xbox Two (or whatever its successor may be called) seemingly on the horizon – and with greater emphasis on digital distribution with the likes of the All-Digital Xbox One S – this clause could be yet another industry standard that Apple has pioneered, for better and for worse. Still, with so many awesome titles and developers working with Apple Arcade right now, this financial commitment is only going to be a good thing for us gamers. Imagine what Konami could do with that sort of money on Frogger in Toy Town?! The possibilities are truly endless.